Harris County, which includes Houston, has violated the Americans with Disabilities Act because many of its polling places are inaccessible to voters with disabilities, a new lawsuit by the U.S. Department of Justice alleges. 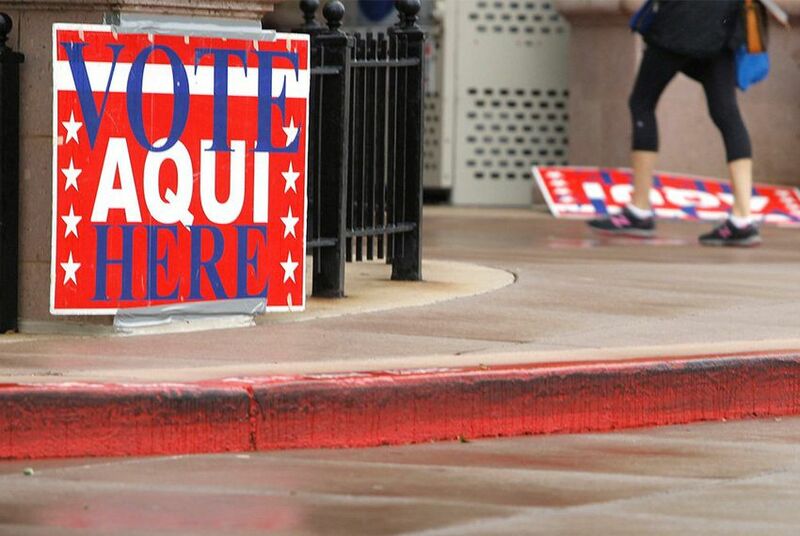 Harris County, which includes Houston, has violated the Americans with Disabilities Act because many of its polling places are inaccessible to voters with disabilities, a new lawsuit filed by the U.S. Department of Justice alleges. Many polling places in Harris County, which were surveyed by the justice department during elections in 2013 and 2016, have architectural barriers — such as steep ramps and narrow doors — that make them inaccessible to voters who use wheelchairs, according to the lawsuit. The county also failed to accommodate the needs of voters who are blind or have vision impairments, the federal government argues. Voters with disabilities are “being denied the same opportunities as nondisabled voters to vote in person,” according to the lawsuit. Harris County officials did not immediately respond to a request for comment on the allegations. The lawsuit does not point to any specific person who was denied the right to vote in person. Instead, it alleges that structural barriers at polling places deny people with disabilities "the benefits of the County's voting services, programs or activities" and subject them to discrimination. The lawsuit, filed in federal court in the Southern District of Texas, seeks a judge’s order that would require accessibility improvements to polling places in future elections and training for poll workers about accessibility features. The Department of Justice also seeks changes to the process Harris County uses to select its polling places. Harris County officials did not immediately respond to a request for comment on the lawsuit. Disability rights advocates called on Harris County to make reforms quickly, before the November presidential election. "Twenty-six years after the ADA and 14 years after the Help America Vote Act, Texas' most populous county could meet accessibility standards in only 29 of 83 polling places," said Dennis Borel, executive director of the Coalition of Texans with Disabilities, in an email. "Voting rights are precious, particularly to those who have historically faced barriers."